I’ve been trying to get back on the fitness track lately. I gained a few kilos and I feel awful: low energy, fatigue, constant bad snacking, etc. We usually eat healthy food in my household; I have a “no fry” policy, and we barely use any oil or butter in cooking. However, what I struggle with most is the snacking, and having a terribly sweet tooth, which I gained after years with my husband who can almost never skip dessert after a meal. Last week, I said to myself “enough is enough”. I have a goal to accomplish within 2 months so my food choices should really be on point. The way to do it? Meal prep. There are no shortcuts. Working out alone is clearly not working out for me! It’s the food choices that need to change. The plan is to try ditching bread. I love bread and it’s my weak point. Therefore, nutrition-dense food should replace it so I can feel fuller for longer. My other problem is that I usually don’t have breakfast, so I had to come up with quick, easy and filling breakfast ideas to keep my diet from falling into a boring routine. I’ve been meaning to try making egg muffins for a while now, so it was the perfect time to finally do it! The recipe below is mine. I simply thought of it and whipped it up. The result is absolutely amazing! In a bowl, whisk together eggs and egg whites, milk, flour, salt, black pepper and all spice. 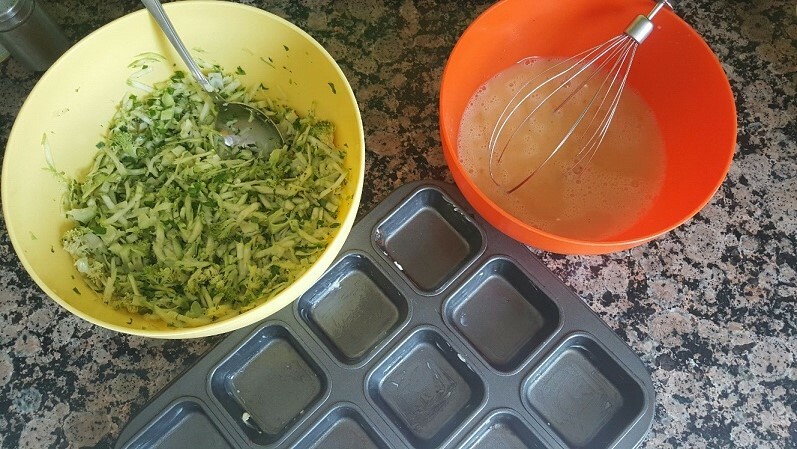 In another bowl, mix onions, parsley, zucchini and broccoli. 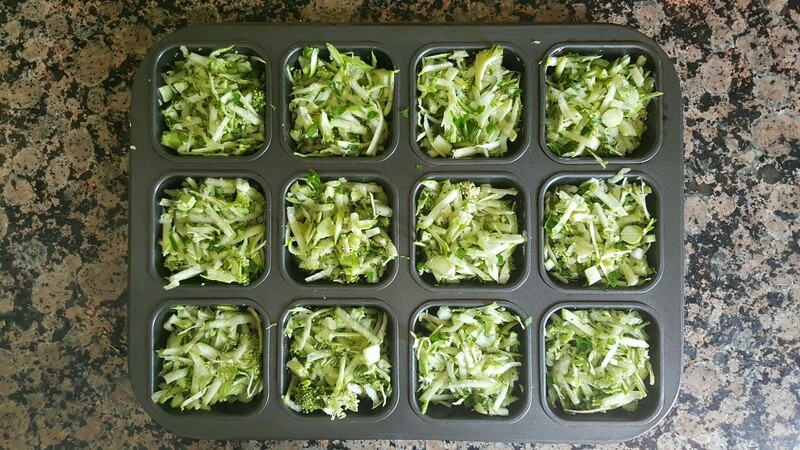 In a pre-buttered large muffin tin, place the veggie mixture evenly. Top with a ladle of the egg mixture which should be enough to make 12 large muffins. 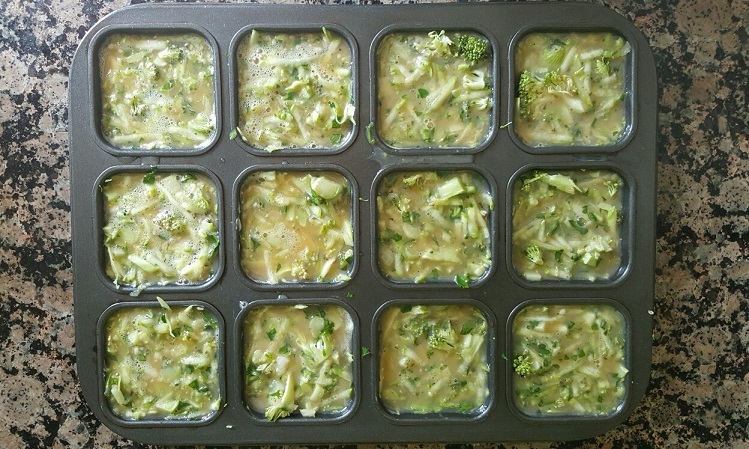 Bake in a preheated oven (200 C) for 25 minutes. Turn on the broiler for the last couple of minutes to give the muffins a golden brown color.. 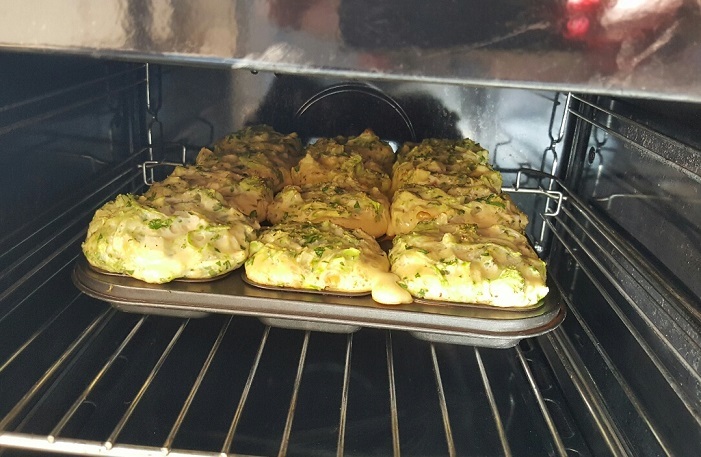 They will puff up in the oven, but will go back to their normal size as soon as taken out of the oven. 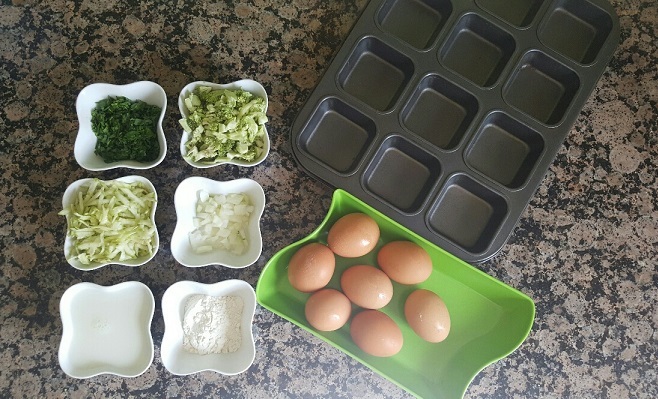 Allow the egg muffins to cool for a few minutes before removing then from the tin. 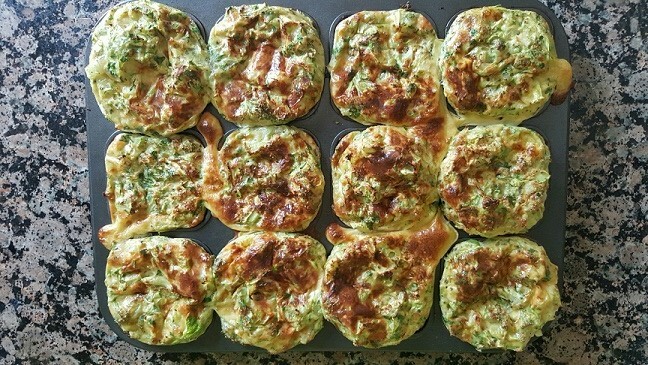 Serving suggestion: serve a couple of egg muffins with a side green salad.